Last week we finished off Natural Mystery Season with a screening of what must be the gooiest monster movie of all time: The Blob (1958). These classic film screenings have become one of the highlights of our ever growing public events programme. The masterful Dr Joe Cain has now introduced 21 of these films, from The Lost World (1925) and King Kong (1933) to Inherit the Wind (1960). 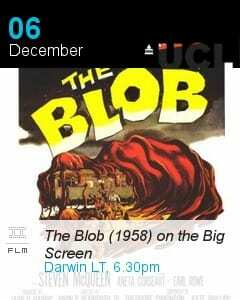 It must be admitted that with our two films this term, The Blob and War of the Worlds (1953) we may have strayed a little far from natural history – we hope our visitors don’t mind. It’s definitely science, and mainly life science, so I suspect few people noticed. Next term we’ll be back to our roots with two very different must-sees: Under the Caribbean (1954) which I’ve described as a serious ground-breaking documentary that is very hard to take seriously (the ridiculous 1950s English dubbing, and the pretense that they try and make us believe they can talk to each other underwater reminds me of a cross between Eurotrash and Monty Python); and we finish the Humanimals Season with the Beast from 20,000 Fathoms (1953). 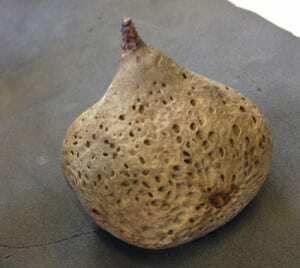 These and all of next term’s events can be seen on our what’s on page. Without a doubt, Film Night at the Grant Museum was the most entertaining event that I’ve attended at UCL. On December 6, they screened the 1958 sci-fi/horror cult classic, The Blob. Dr Joe Cain holds court. A senior lecturer at UCL by day, he is an avid film fan by night. And possibly by day at weekends. This is the first ‘On The Big Screen’ event at UCL that I’ve attended, despite this being the 21st showing. However, it’s clear that the event attracts a regular following, and by the time I arrive the large Darwin lecture theatre is almost full. All ages are represented in the crowd, and the mood is both jovial and excited.